Ships Monday, April 22 if ordered in the next 2 days, 11 hours and 11 minutes! 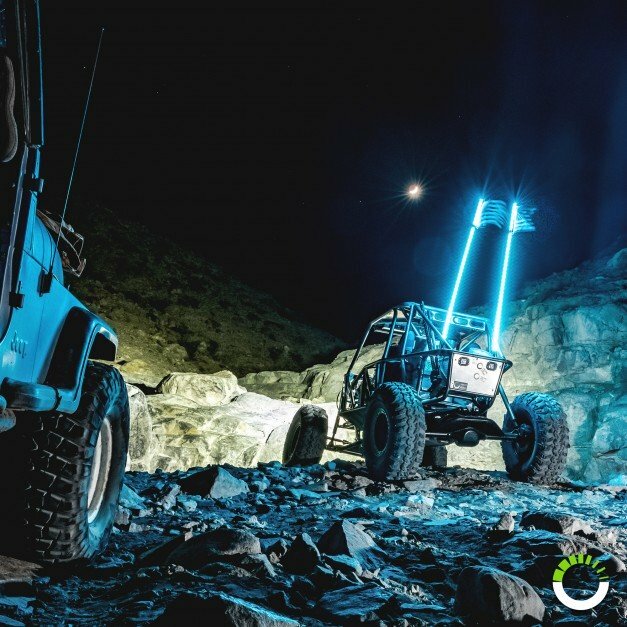 Constantly testing the limits of man and machine, off-road enthusiasts race through the scorching heat and pounding rain, across unforgiving deserts and down the scarred slopes of remote mountain ranges. It’s a punishing pastime, and if your equipment isn’t up to the challenge, it can stay home. 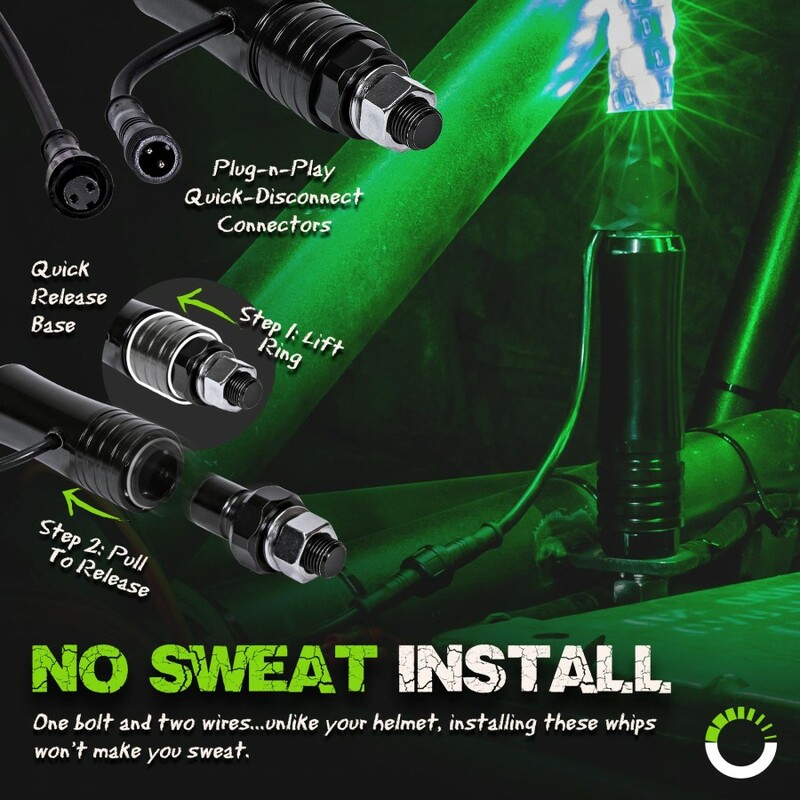 IP65 waterproof rated, virtually unbreakable, and easy to install, our whips rock just as hard as you do. And with 20 color combinations, 5 brightness levels, 10 flash patterns, and a sleek black finish, you’ll look awesome while everyone else is eating your dust. 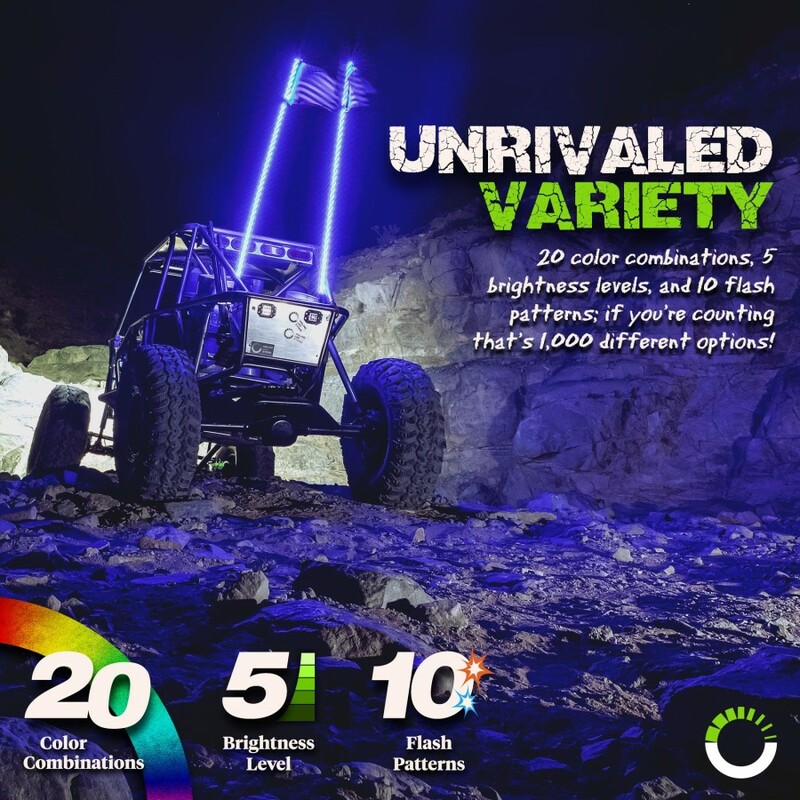 Whether you’re throwing up rooster tails in the woods, running wide-open up the side of a dune, or just playing in the mud, our super bright LED whips will keep you visible even in the worst conditions. 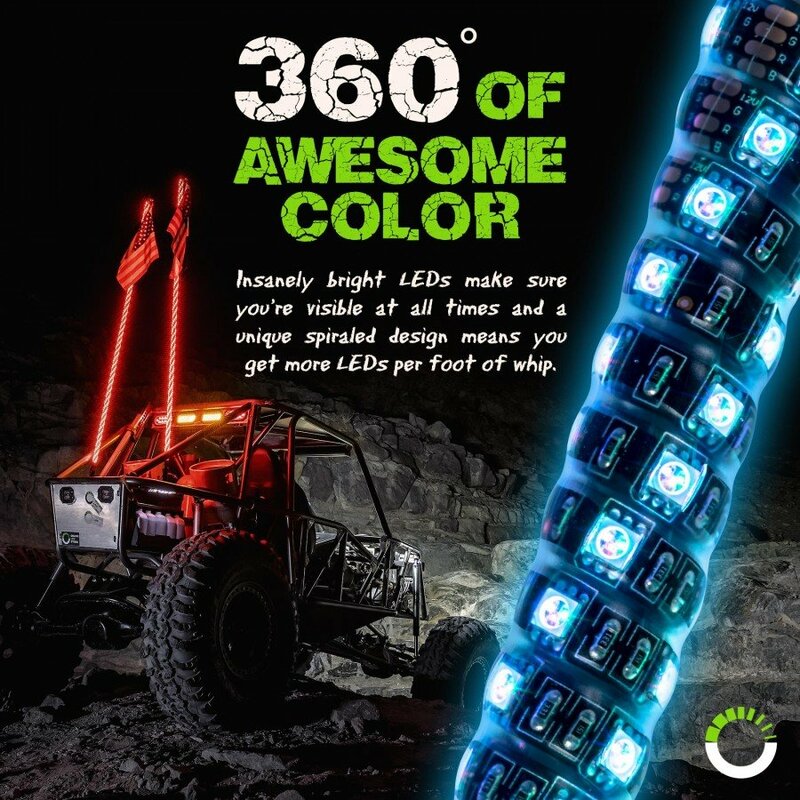 We crammed in 50% more LEDs than our previous models and with a 360° spiral design, our LED whip gets serious attention. Want more? 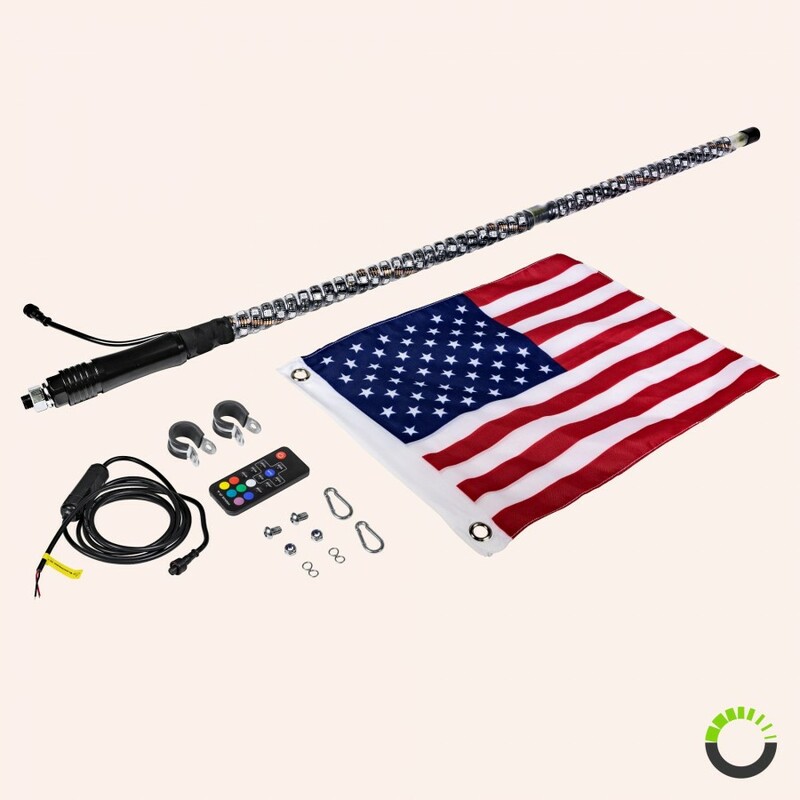 We even include clamps, carabiner rings, and an American flag with our whips. Off-roading is about leaving everything behind, wiping out a bad week, and the feeling that at that moment, nothing else exists. 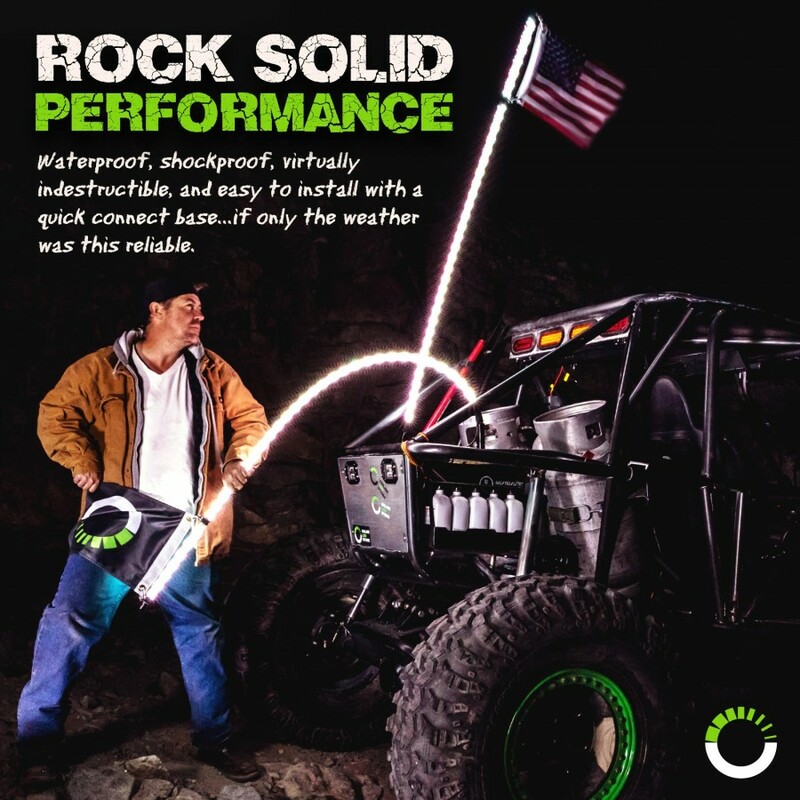 We understand that every piece of equipment should enhance your off-road experience, not get in your way. 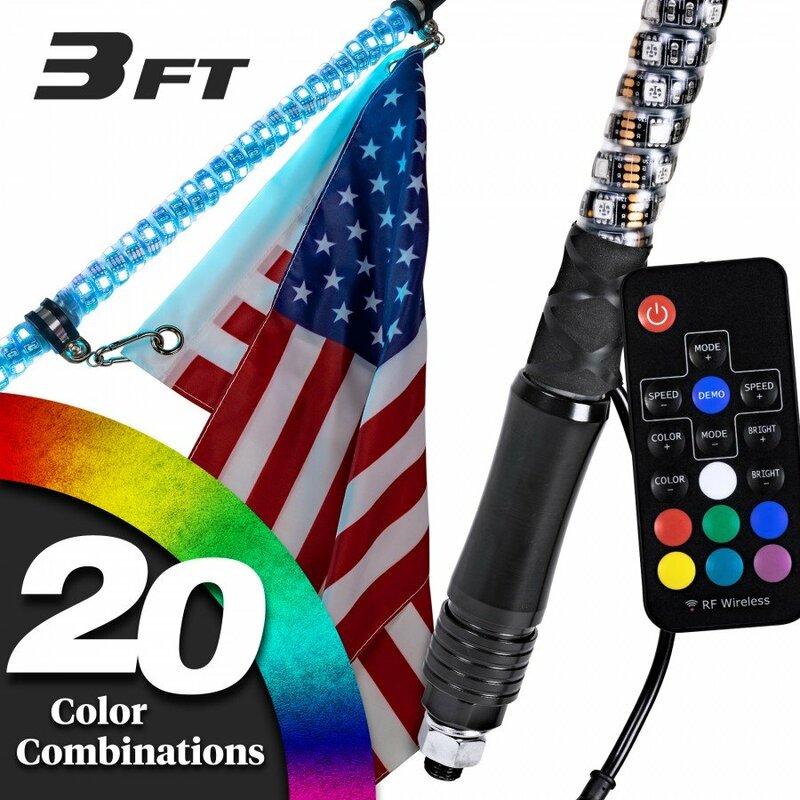 That's why we designed our LED whips with a simple remote control. The easy to understand controls allow you to quickly dial in the color you want, pick your flash pattern, and get back to doing what you love. 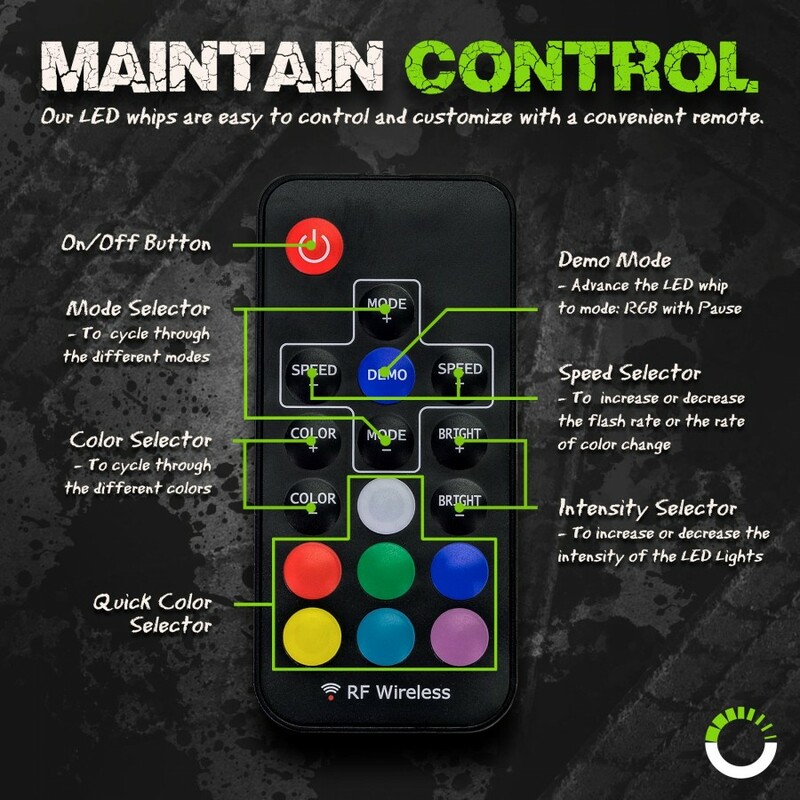 You can even use one remote to control multiple units!